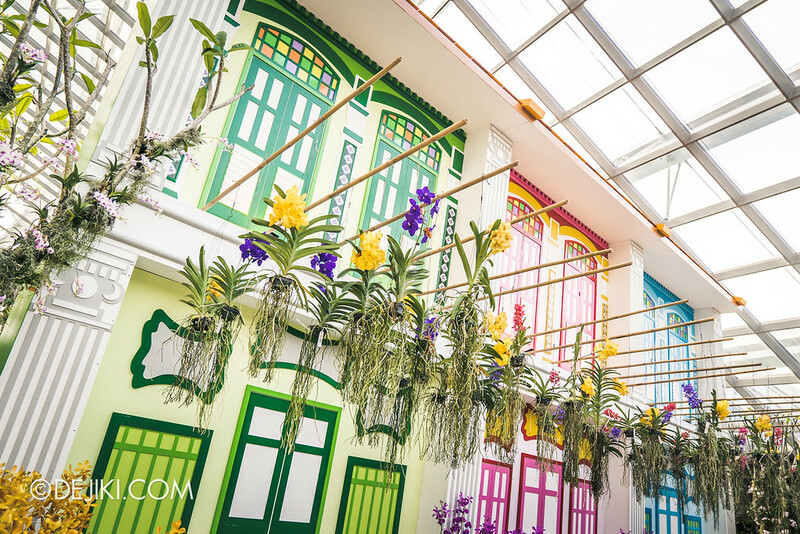 For this year’s Orchid Extravaganza, local filmmaker Royston Tan lent his creative touch to create an attractive floral display inspired by Peranakan culture. 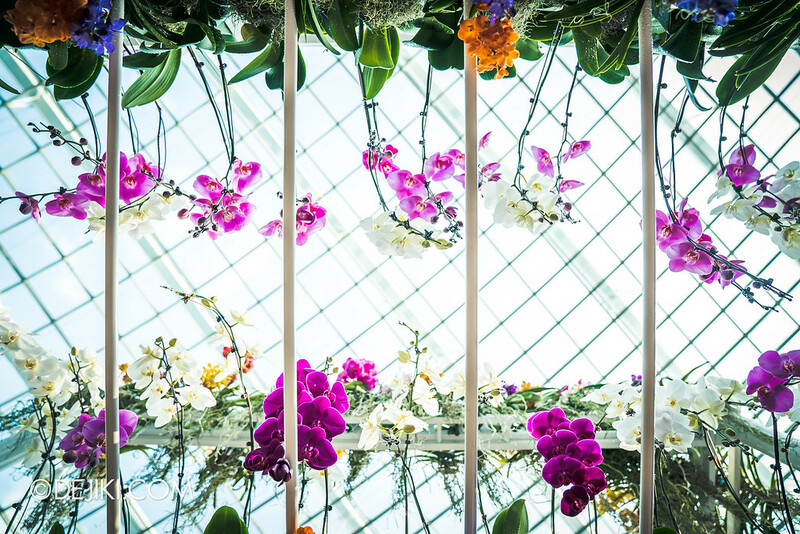 Over 14,000 orchids in some 120 varieties are displayed, with tiers, terraces and beautiful walkways that will surround visitors with colourful bursts. 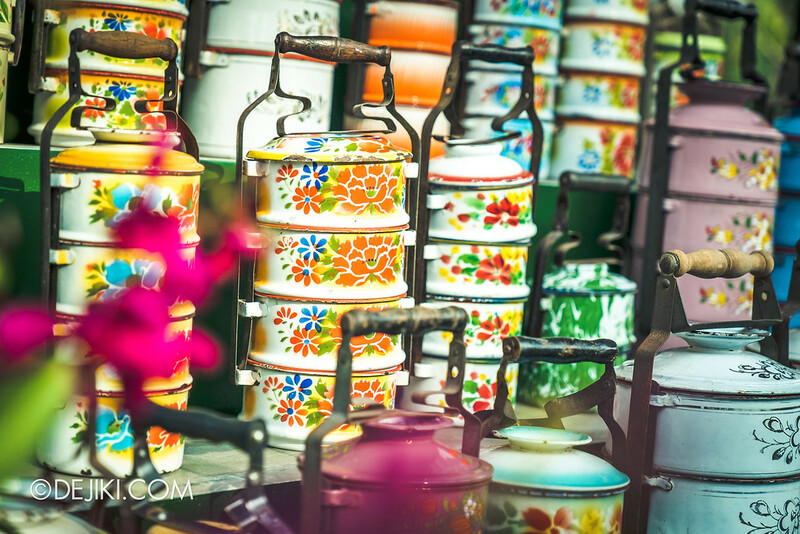 Rickshaws and tingkat (tiffin carrier) – nostalgic sights. 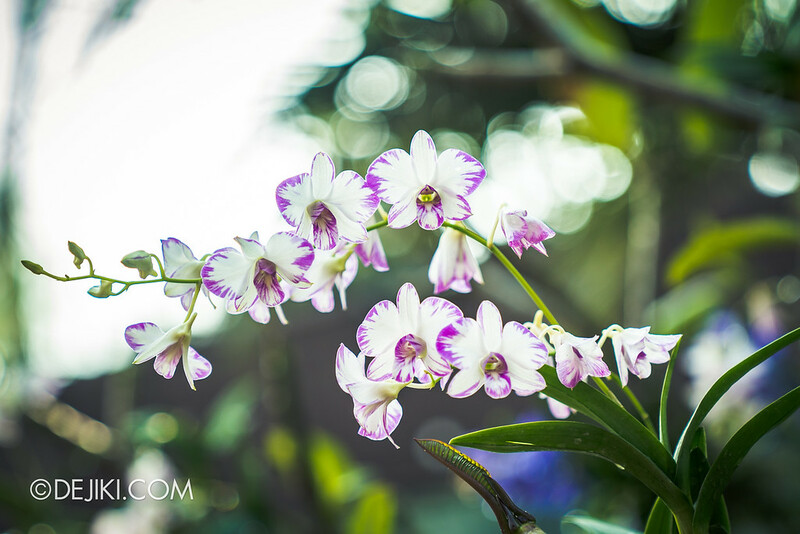 I like to call these ‘aerial orchids’. 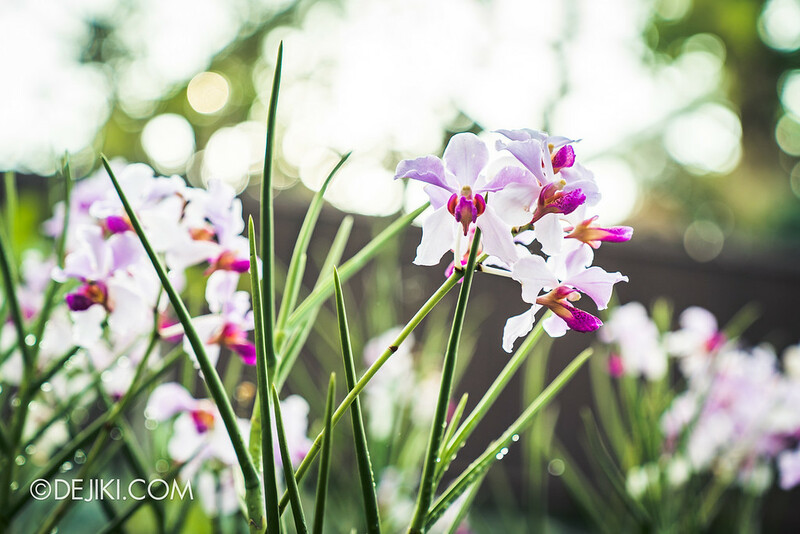 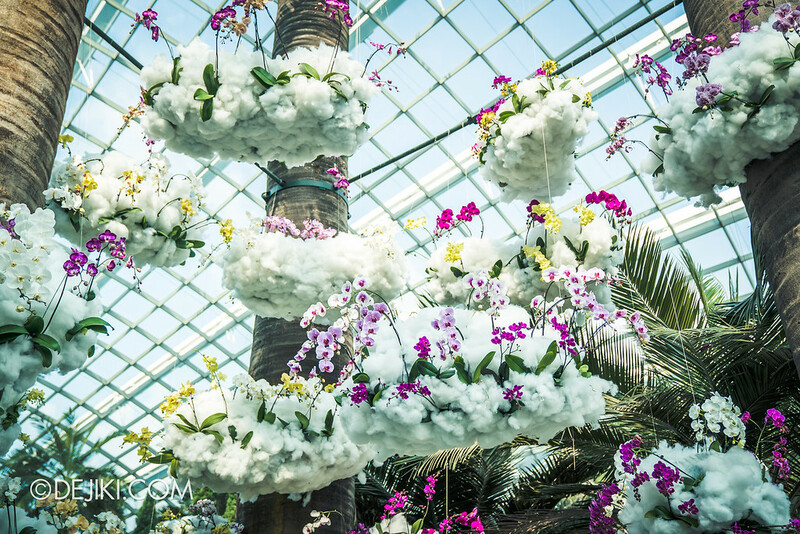 These overhanging orchid clouds represent the smells and smokes from the kitchen. 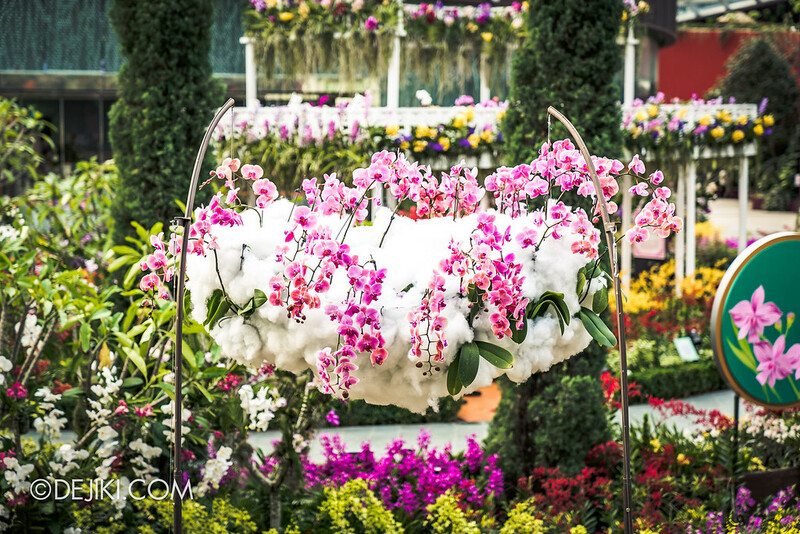 Clouds are also used as a motif in Roystan Tan’s Bunga Sayang (Flower of Love) film. 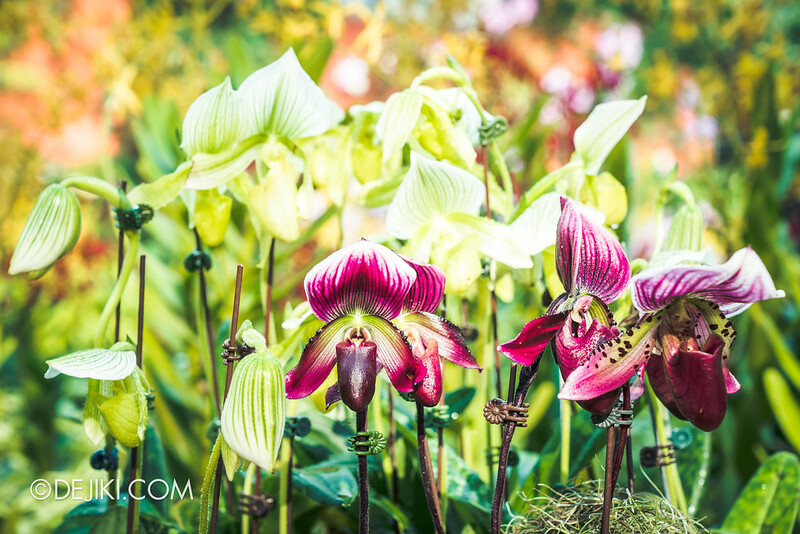 2017’s display had a metallic cocoon where orchids were draped across. 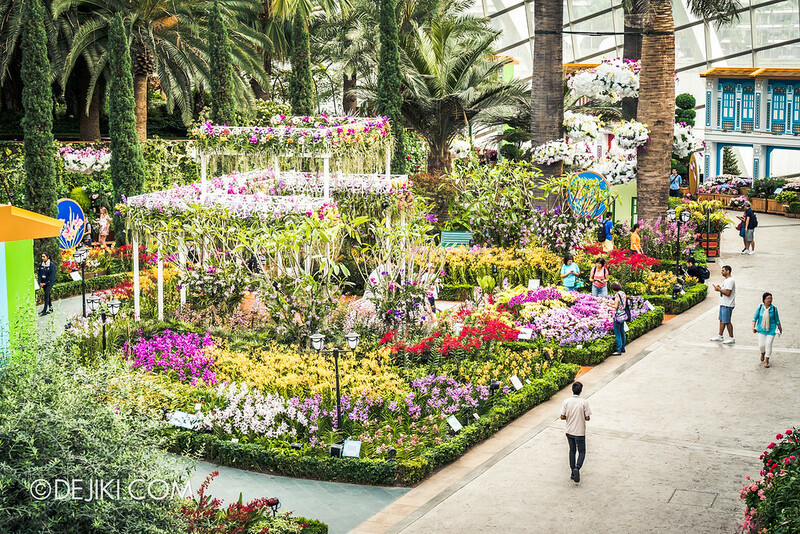 This year’s hanging garden feels much lighter with the open environment. 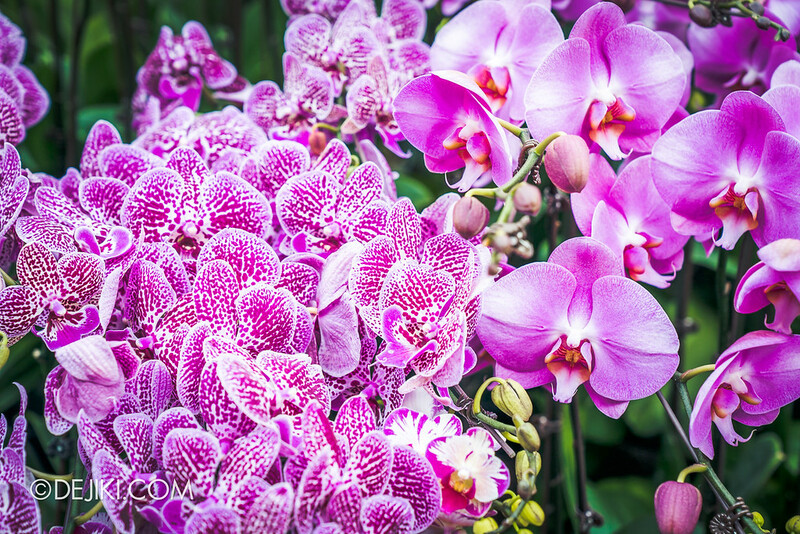 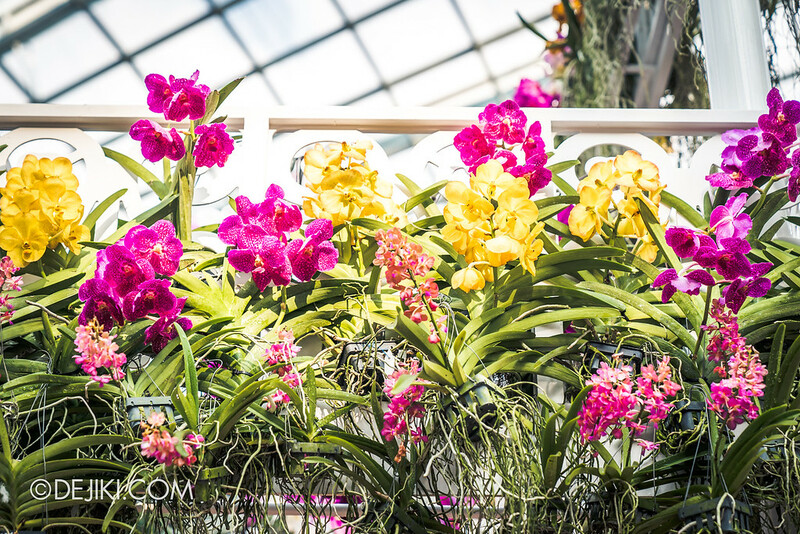 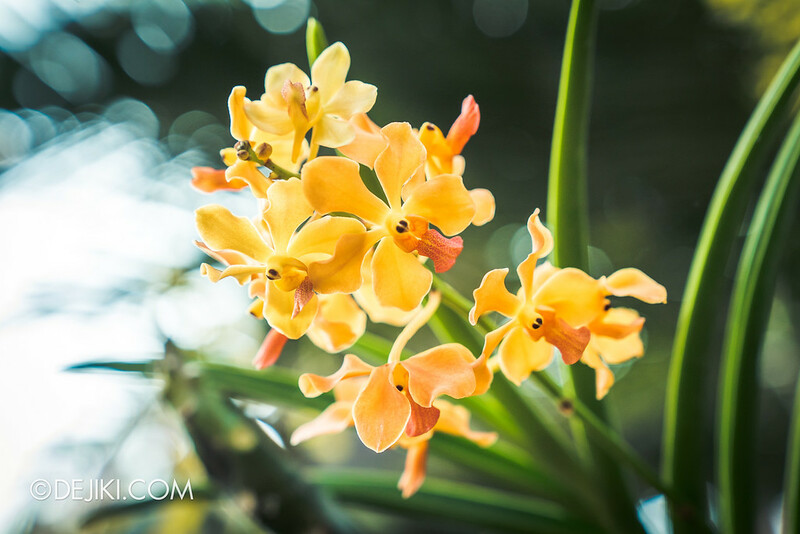 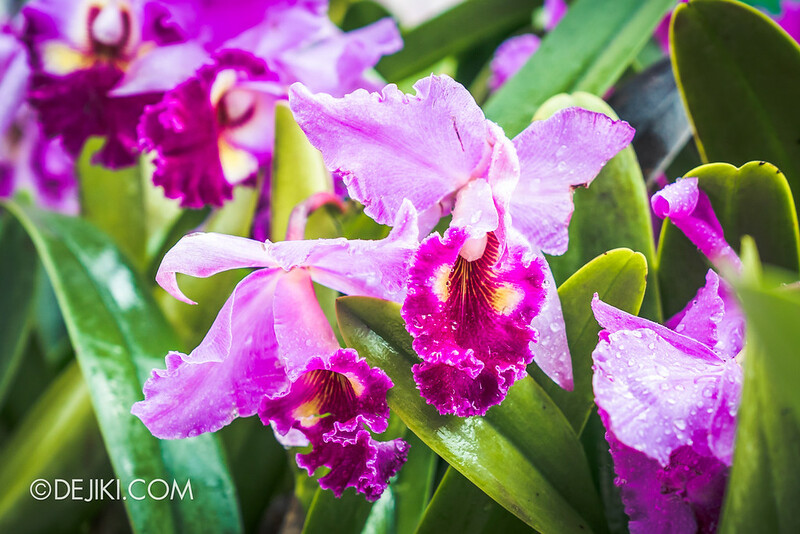 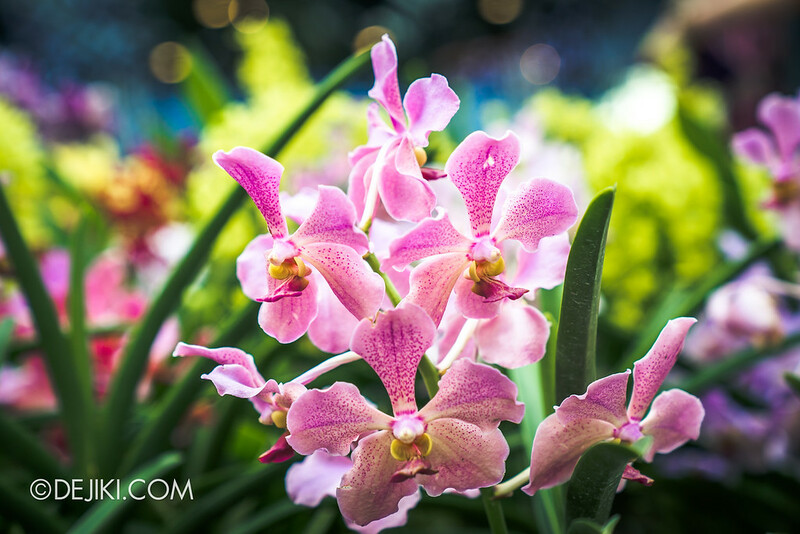 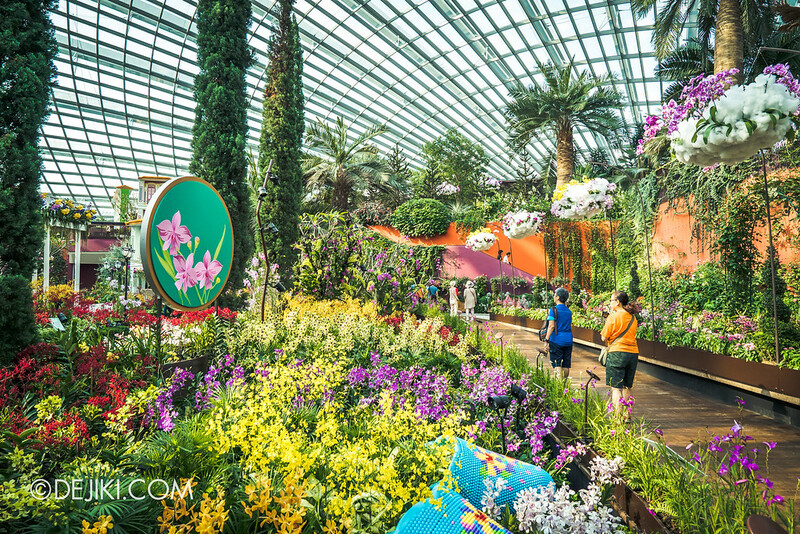 There’s slightly less emphasis on the exotic orchids this year, as the more vibrant and larger species were arranged to create colourful fields – supposedly representing kueh and cakes. 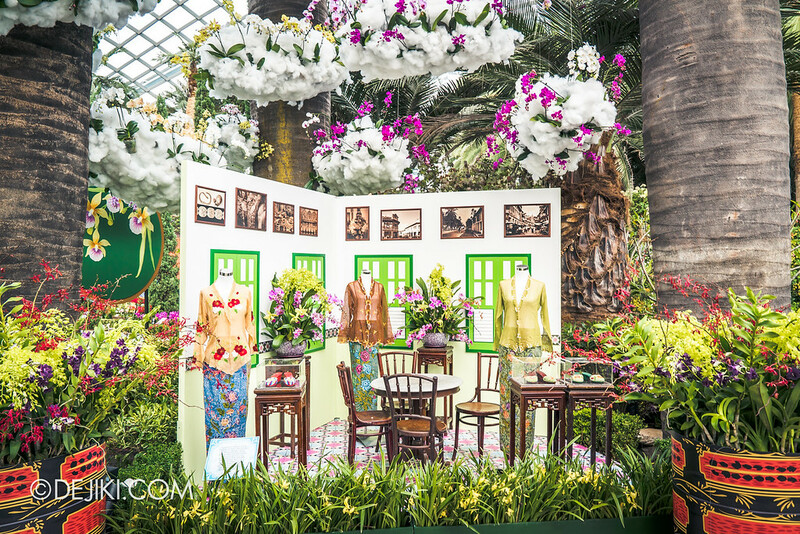 Peranakan beaded slippers, or kasut manek, are on display. 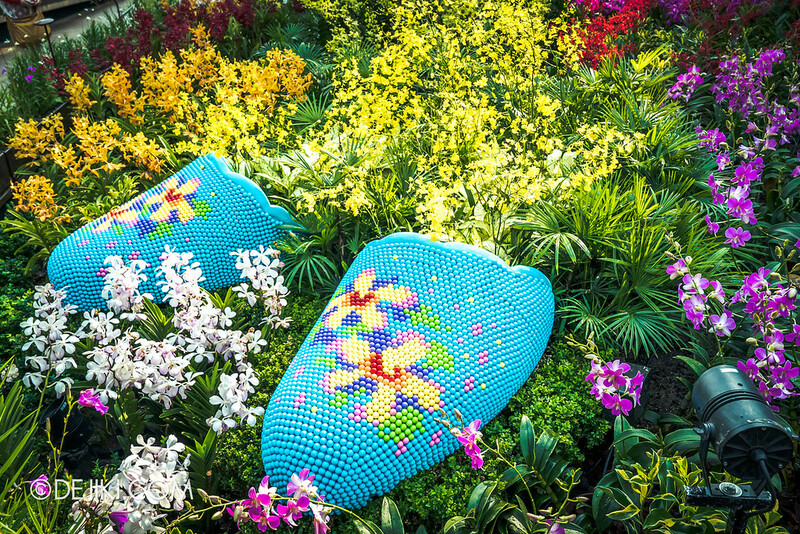 Both these giant ones and the real handmade ones. 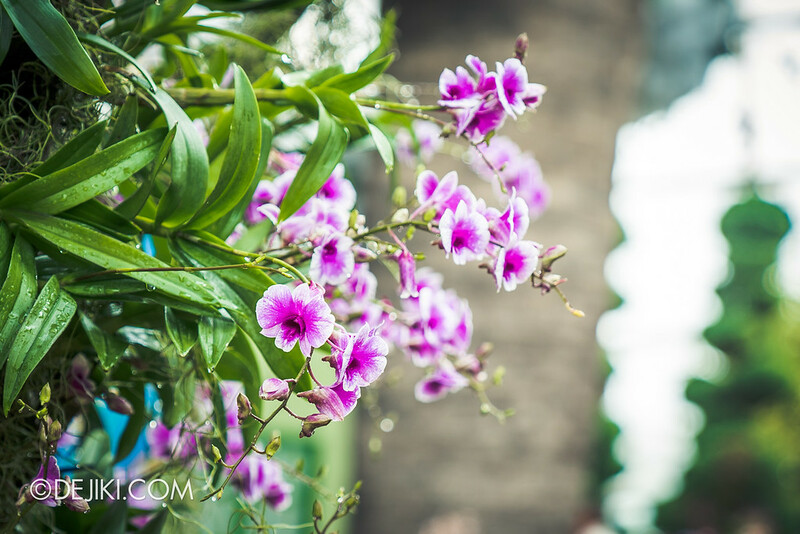 From now till 22 August 2018. 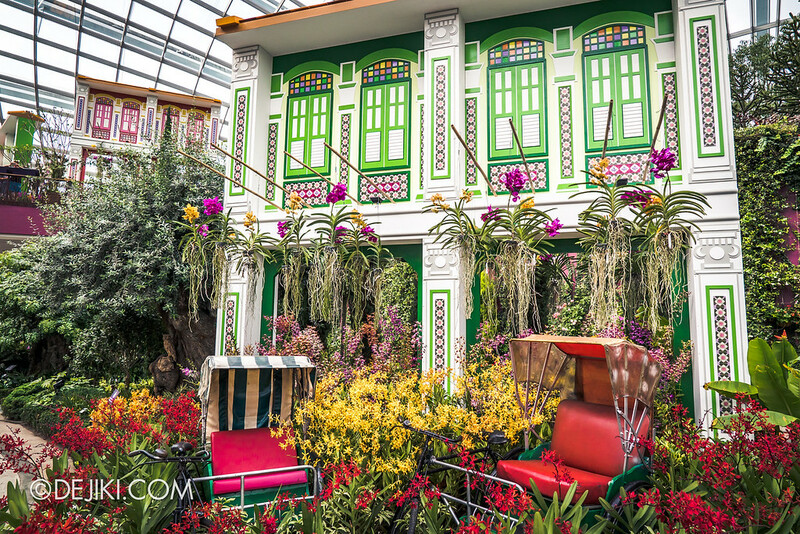 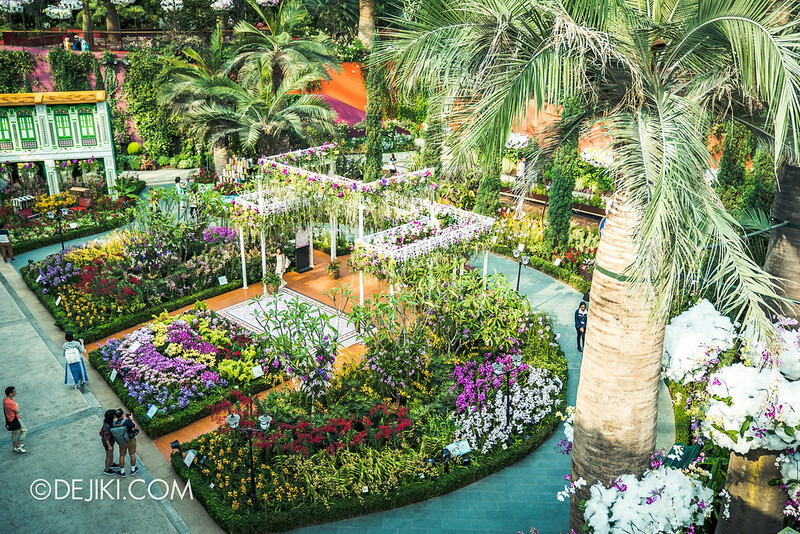 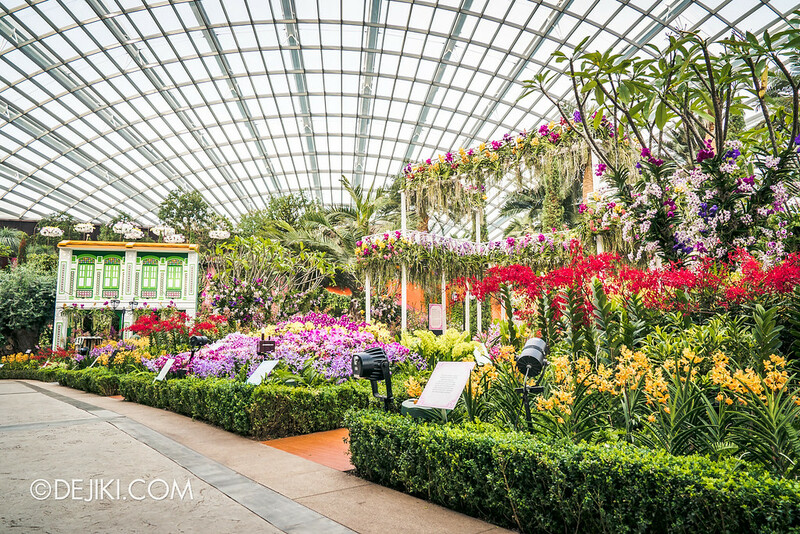 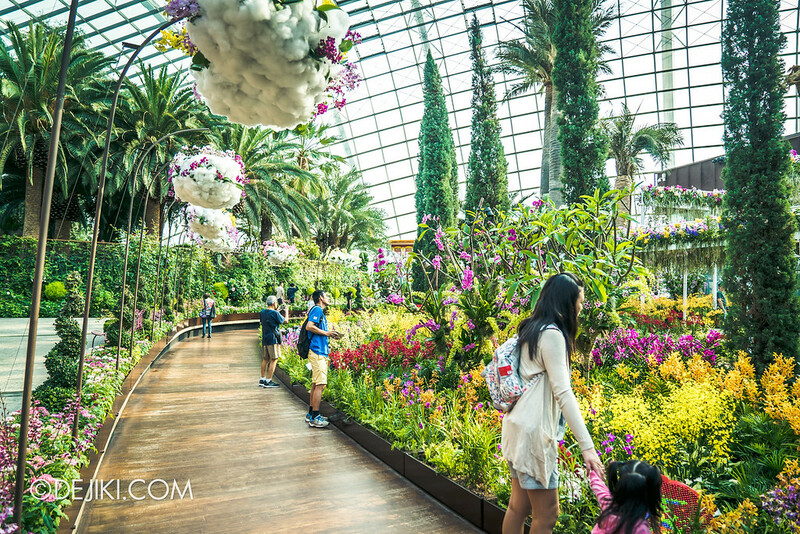 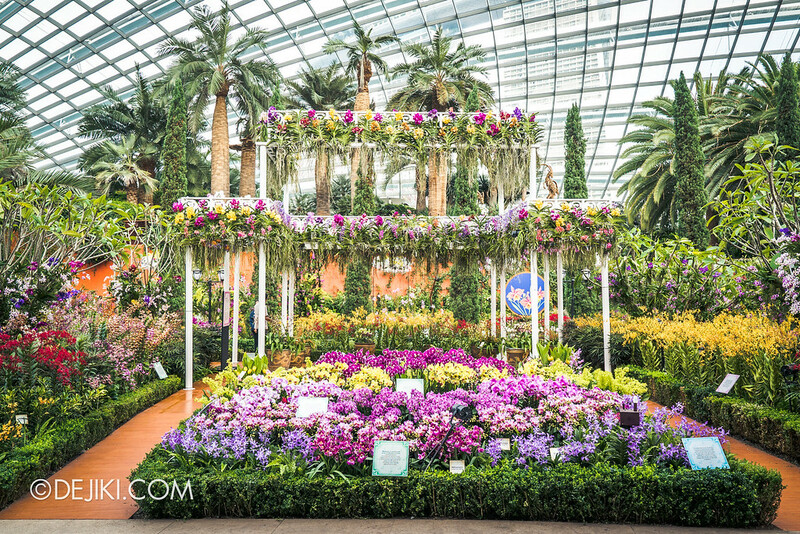 During the Singapore Garden Festival 2018 period from 21 July to 3 August, you can get Flower Dome tickets bundled with a Garden Festival ticket. 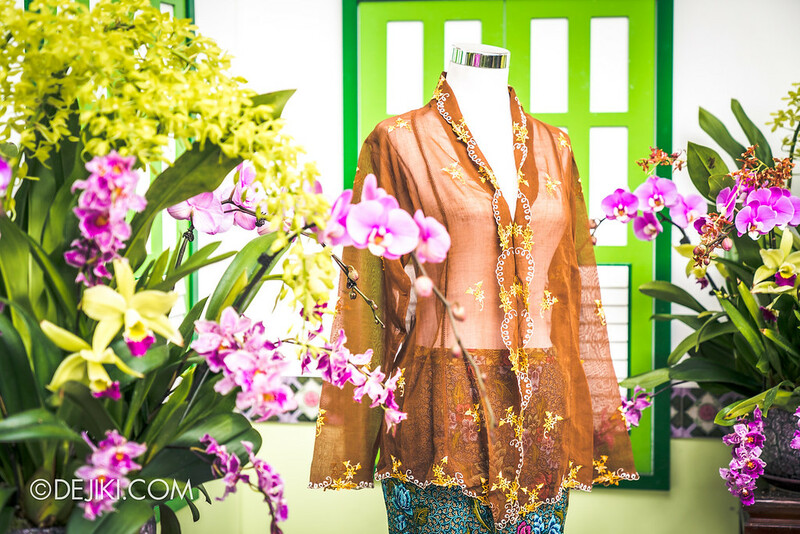 You can buy tickets online via my Klook link.